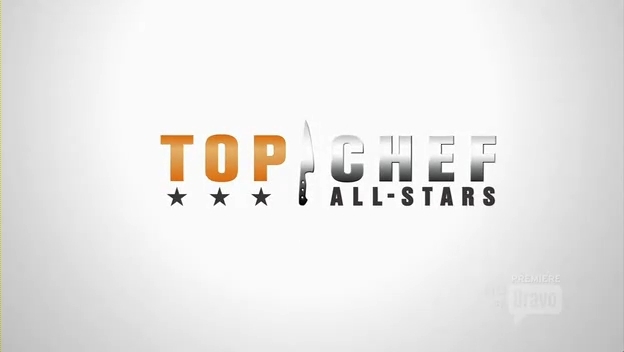 Okay, so last week we were fired up that “Top Chef All-Stars” would have a final five instead of a final four, but that would change last night. When they got to the Bahamas for the finale, I wondered if this was it, if this was the episode they would name the Top Chef. But it didn’t feel like a finale. So what it wound up being is a competition that would bring them down to four. It started last night at Fort Charlotte, where the chef-testants would compete against the chefs that won their season–Stephanie, Hosea, Michael, and Kevin. The quick fire challenge would be to compete against the chef that won their respective season, using a secret ingredient chosen for them ahead of time. 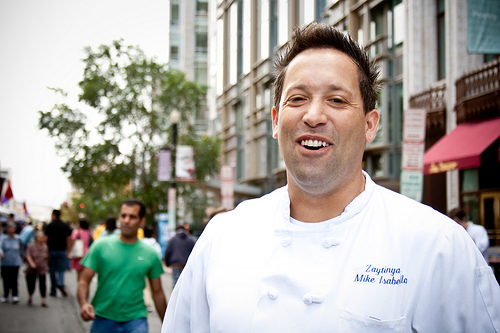 Mike was up against Michael Voltaggio, maybe the best chef in the history of the show, and they had duck; Antonia and Richard would square off against Stephanie using veal; Carla was up against Hosea using lamb; and Tiffany squared off vs. Kevin using pork. The winners would each take home $10K. I love “Top Chef.” And I love “Top Chef” more now that they did something so right last night. But more on that in a bit. The show began as the chef-testants were being filmed in their dorm, which, as it turns out, is in Brooklyn with a great view of Manhattan. Then host Padma Lakshmi showed up and asked them to meet her on the building’s roof, which really showed off the amazing view. You could also see Ellis Island, which is where immigrants had to pass through on their way to the “new world” a century or so ago. Last night “Top Chef All-Stars” on Bravo merged its own brand with Food Network, as Paula Deen was introduced by host Padma Lakshmi as the guest judge for the quick fire challenge. 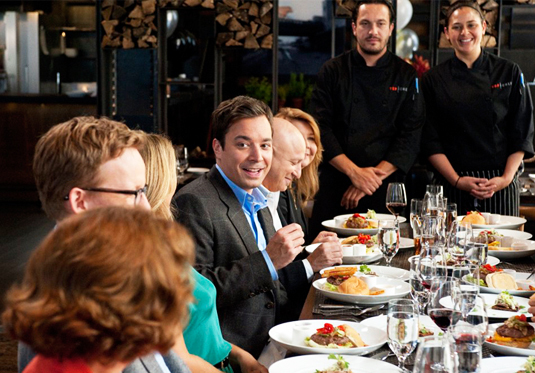 But first they showed the remaining six chefs hanging around with Richard showing Mike his “secret black book” of ideas. Hmmm. So what do you think the challenge was? Yep, making a dish using a deep fryer. Last night was an interesting episode of “Top Chef All-Stars.” Not that they aren’t all interesting, but this one was a bit more so. They began with Fabio ribbing Antonia a bit more about her winning last week with mussels that were a “French” dish, as Fabio claimed, not Italian. Then host Padma Lakshmi introduced the Quick Fire, which was to create an interesting form of fondue. But Padma threw them a curve, which was that they would be their own judges, with comment cards to pick the least favorites and the favorites. The least favorites were Fabio (Bellini with caviar and white wine); Mike (spiced lamb with feta fondue); and Tiffany (apple fritter with hazelnut/chocolate fondue). The favorites were Antonia (smoked salmon on toast with crème fraiche—ed. Note—ewwwwwww! ); Dale (Pho-ndue); and Angelo (deconstructed walnut/goat cheese fondue with endive dippers and beet juice shots). Dale won and he got a trip to Napa Valley. Top Chef All-Stars: tennis anyone?